I am a twenty year old college student majoring in accounting. I love to praise my Lord and Savior Jesus Christ and spend time with my boyfriend and my family. I love going ‘treasure hunting’ at thrift stores and flea markets. I love chocolate ice cream and walking in the rain. I like lace and all things floral. I like dancing and I like to sing (however off key I might be). 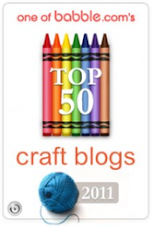 And I love being a part of etsy and the blogosphere and taking these little baby steps to seeing my dreams come true. Honestly I think I have been creating since before I could walk. Drawing and crafting were ‘my thing’ when I was younger. Towards the end of high school I began exploring painting and sewing and I also developed a love for vintage things and thrift finds. I just feel that there is something amazing about creating something with your own hands, it’s so personal and it tells a story (similar reasons for why I love vintage) and it gives me a peace about things whenever I’m creating that allows me to just forget about the rest of the world. 3. What is your shop name and url and what do you sell? 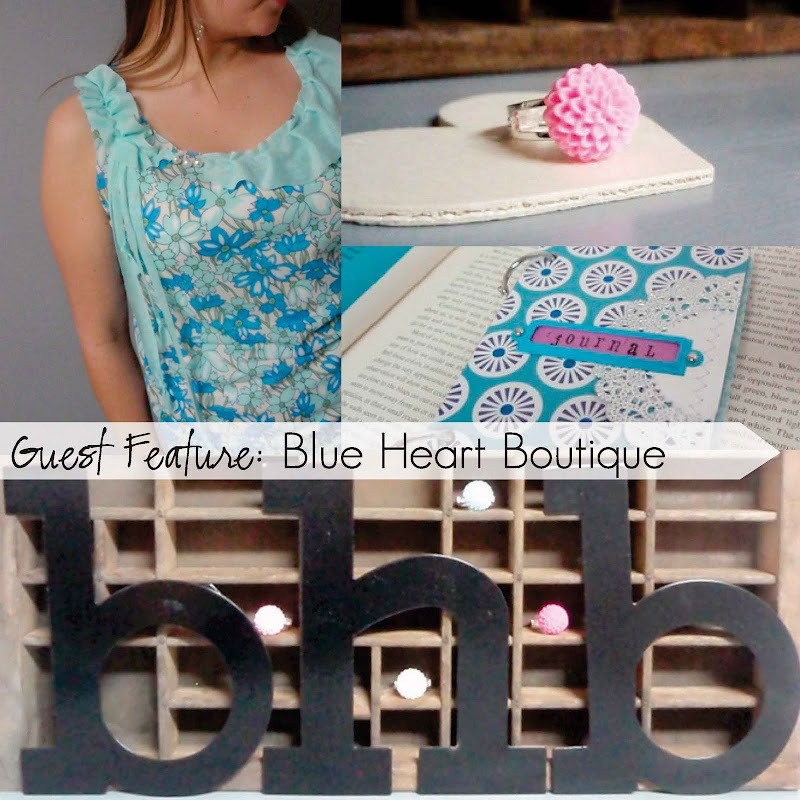 Blueheart Boutique (http://blueheartboutique.etsy.com) is full of handmade clothing, accessories, and journals. 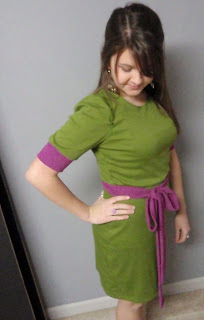 All of the clothing is handmade by me personally and no piece is exactly alike. 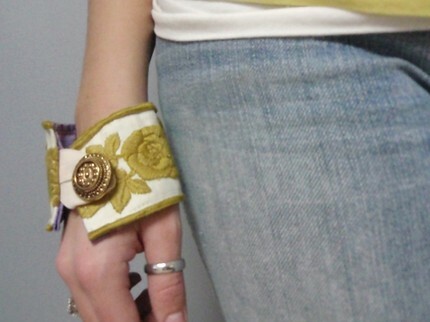 Accessories include jewelry, headbands, and fabric cuffs. 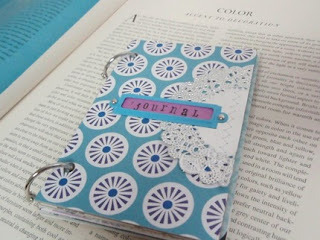 The journals are made with eclectic pages, many of them vintage and all of them interesting. I opened my etsy shop during the summer of 2009 and it was very slow starting. 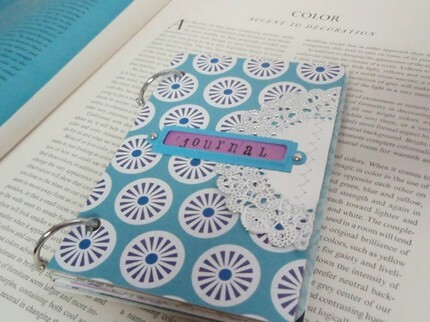 I was very timid about it and I only had two journals listed for about two months, but nonetheless I anxiously checked my views and hearts each day like so many new sellers do. It’s been about ten months since I listed the first journal and Blueheart now has many hearts and several sales and I couldn’t be more happy about how things are going. I never thought I could do something like this, even when I first discovered etsy and it’s exciting to see it progressing every day. Being a college student, I’ve surprisingly been able to discipline myself enough to save my creating for weekends so that I can focus on my studies during the week. On Saturdays I often spend hours in my studio sewing or cutting papers with my music on and as soon as the weather cooperates with my schedule I’ll be opening the window and getting lots of fresh air. It makes for a really great creating environment. During the week I usually make some trips to fabric stores and thrift for vintage embellishments and papers. I usually find my materials first and then the inspiration sparks from there and usually ends up as a quick sketch in my inspiration book. At first I was very shy to promote my shop, but I am working on getting better at that. I usually visit the etsy forums and chat rooms once a week to meet other etsians and usually end up with a few hearts from there. I recently joined Lovely Clusters and it has sent some traffic my way. 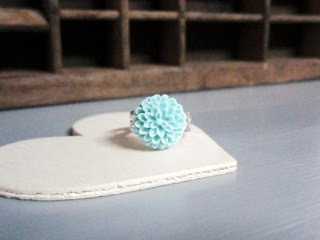 I also use my blog to promote my shop and sometimes I post things about it on my personal facebook. I have made a second set of business cards and distributed a few to family and friends to pass out, but I am still rather shy about promoting my shop in person myself. Currently the only place I am selling is on etsy but I’ve been looking into some craft fairs and I’m really psyched about it. I keep a large sketchbook for inspiration. When I get ideas or see something amazing I sketch it out, sometimes the sketches are more detailed than others. I glue magazine clippings in and often write small paragraphs about things I like and want to remember. I keep a small sketchbook in my purse for inspiration emergencies and then usually transfer everything over. 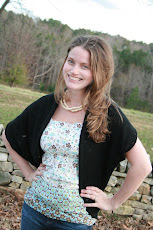 I find a lot of inspiration from my favorite blogs (ohhellofriend.blogspot.com; bluemossgirls.blogspot.com; and dottieangel.blogspot.com) and from my favorite brands (anthropologie.com; freepeople.com; and jcrew.com). I usually have to step away for a couple hours, I’ve found that trying to force myself to be creative gets me nowhere. I’ve tried browsing etsy and my favorites whenever I get ‘Creator’s Block’ but it seems like only in those moments when I’m not purposely looking for inspiration do I find the best inspiration and then it gets my creative juices flowing again. My biggest challenge is frustration, which usually occurs more with my sewing. I love my sewing machine, and I wouldn’t trade her for anything else, but sometimes things just go wrong and its usually at the worst possible place on the garment for something to go wrong. I also get frustrated with myself when I just get to going and stop paying attention. I accidentally ruined a dress I was making once because I made a dart on the wrong side of the fabric, needless to say, that one got tossed aside. It’s small mistakes like those that hinder my progress that frustrate me the most, especially when I’m excited to see the end of a creation. I recently made a goal for Blueheart to reach the 50 sale mark by the end of this summer and I’m going to work on promoting and increasing inventory. I’d also like to set a goal of creating enough inventory to get involved with a craft show, but I haven’t actually got a plan of action made out yet. I would definitely recommend the three P’s: Prepare, Plan, and Promote. Prepare yourself for opening a shop, consider your name and policies and establish a good amount of inventory before you dive in. Plan things out and set goals. 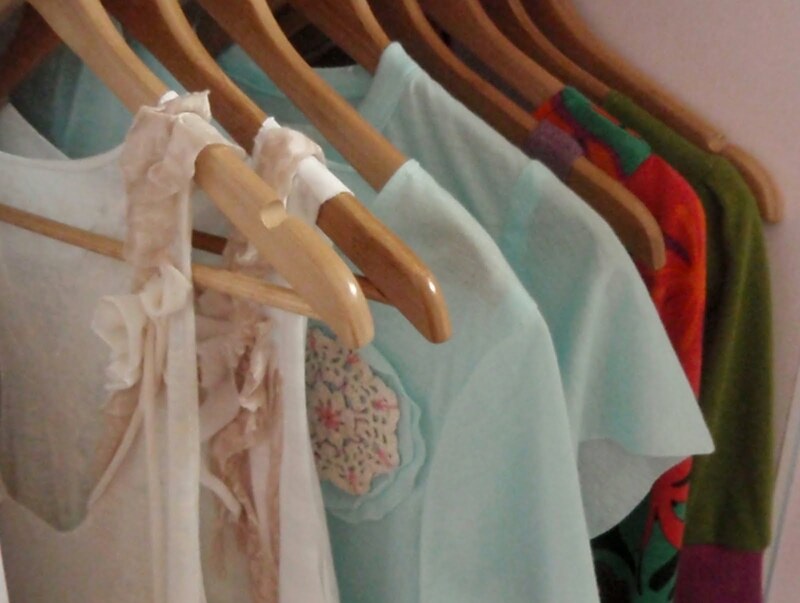 Decide where you want your shop to be three months from now, six months from now. I really wish I had done more planning in the beginning instead of just ‘winging it’ and not have a schedule planned out. Promotion is also one of the best things you can do for your shop, the only way you are ever going to sell anything is by getting your name out there and the internet with blogs, twitter, facebook, etc offers so many opportunities to do so, don’t pass them up! In five years I hope to be graduated from college and happily married to my sweetheart. I also hope to be putting the plans in action for opening a brick and mortar store where I can sell not only my handmade things and vintage finds, but work of local artists and fellow etsians. 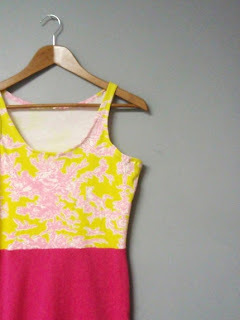 My blog is where I post things that inspire me and updates involving my shop. My favorite posts are the ‘love lists’ which readers seem to enjoy too. 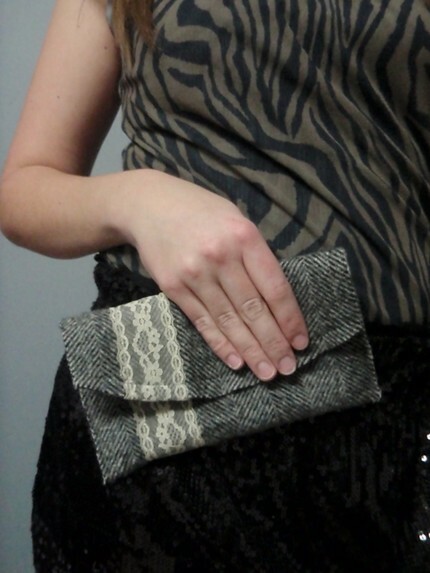 Love those clutches! They are so cute! Really like your new feature, and a great choice for your first guest. 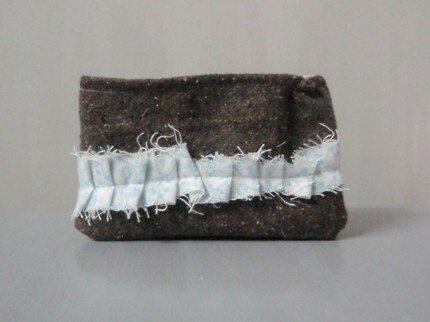 It's wonderful to see how many creative young women are interested in and talented at sewing and crafting. Thanks for the great interview with jessica.....so fun to read more about her. She always finds the best things to feature on her blog and I love her etsy shop. Thanks so much for the blue moss shout out....it made my day.